With so much happening in the 140-character, 24-hour news cycle these days, it can be easy for the general public and reporters to lose sight of the legislative and regulatory goings-on in Washington. Remember when the Trump Administration posted a notice to the Federal Register that the United States intends to “modernize” the North American Free Trade Agreement (NAFTA)? Not many do. So where does trade stand today? 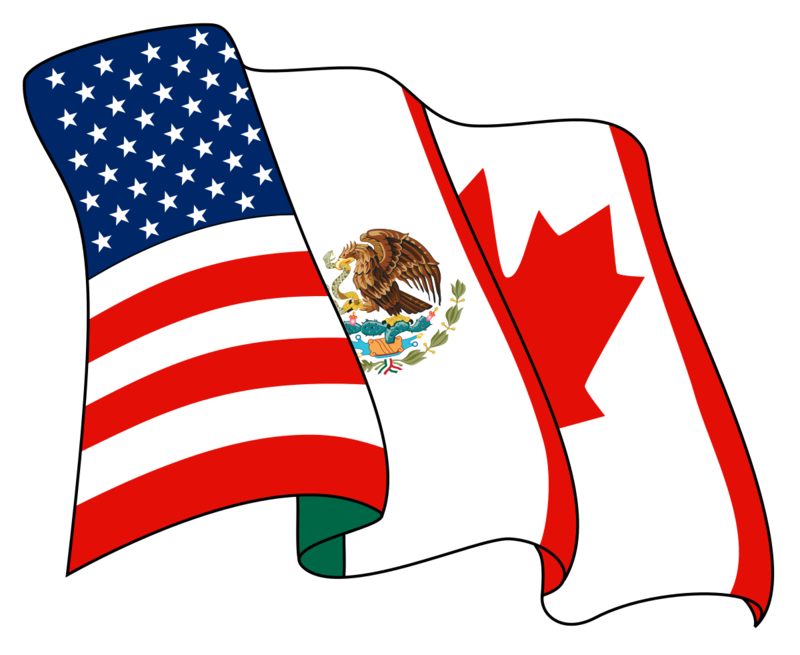 Is the general public engaging in an online debate about free trade or NAFTA? And, if so, does that matter? Are reporters writing stories about NAFTA or are they focused on all of the daily breaking news? 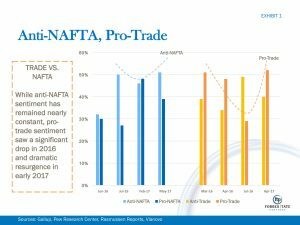 In public polling, support for free trade is trending up while support for NAFTA has largely remained stagnant (Exhibit 1). To maximize the accuracy of our findings, we compared polling from the same sources both before and after the election, thus ensuring consistency of methodology across our findings. By monitoring social media conversations, it is clear that the online discussion is rapidly becoming less neutral as people quickly make up their minds about the value of free trade. This means there is an opportunity – or threat, depending on your point of view – to inform the public on what NAFTA means for them (Exhibit 2). 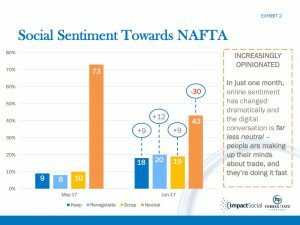 As with our previous blog on trade, FTP worked with ImpactSocial to quantify and analyze the conversation related to NAFTA on Twitter between May 1st and June 30th. While the shift in conversation was significant – a massive 30% decrease in neutrality – the key messages within those conversations driving this shift are arguably more important. In June, the driving force behind these three opinions – keep, renegotiate, and scrap – focused on the same core concepts: the need for jobs and the survival of American industries. However, these arguments were made from different ideological perspectives across the three major opinions. As a result, the Trump Administration’s pivot to “renegotiate” rather than scrap NAFTA in response to political and economic realities is welcomed by Americans on both sides of the aisle – so long as US jobs and industry are protected. What does this mean for the future policy debate on trade? It all depends on who takes advantage of the opportunity at hand: Americans view free trade in an increasingly positive way (Exhibit 1), while the online conversation about NAFTA is becoming increasingly opinionated and the window of opportunity to influence outcomes is closing rapidly (Exhibit 2). If you care about trade, no matter where you stand on the issue, the time to act is now – educating the public on the benefits of trade is both an opportunity and vulnerability, depending on how you look at it. Impact Social is a unique social media insight and analysis company that uses highly sophisticated big data software to live-monitor all social and online conversations around the globe in 27 languages. It specializes in the analysis of complex public, legislative and brand issues at global, US national and state-by-state levels. Impact Social has proven that accurate analysis can only be produced by human beings reading and interpreting the data. Impact Social’s unique methodology involves a team of UK based researchers reading and scoring samples of thousands of social media mentions.